If you’re anything like most drivers, you want your next new car to offer more than just fuel economy, horsepower, and cargo space. 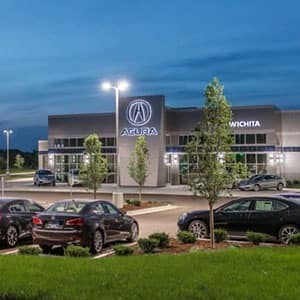 There’s no substitute for an interior full of high-end amenities, and the 2018 Acura RLX’s technology features have made it a standout hit with drivers in Kansas City! CNET’s Roadshow blog writes, “Acura packs the 2018 RLX Sport Hybrid with impressive features and a cutting-edge power train, making it a very good value.” Once you’ve gotten a sense of the top-tier technologies that set the 2018 RLX apart, you won’t want to settle for any other luxury sedan. You and your passengers will enjoy every moment you spend inside the cabin of this Acura. The RLX’s entertainment features and audio systems make it the preferred luxury sedan for Kansas City’s audiophiles and fun-loving families, and it’s not hard to see why. Song-By-Voice Technology: You’ll enjoy every drive when you and your passengers take advantage of Song-By-Voice technology. With this feature, you’ll never have to waste time fiddling with buttons and dials to find the music you want to hear. 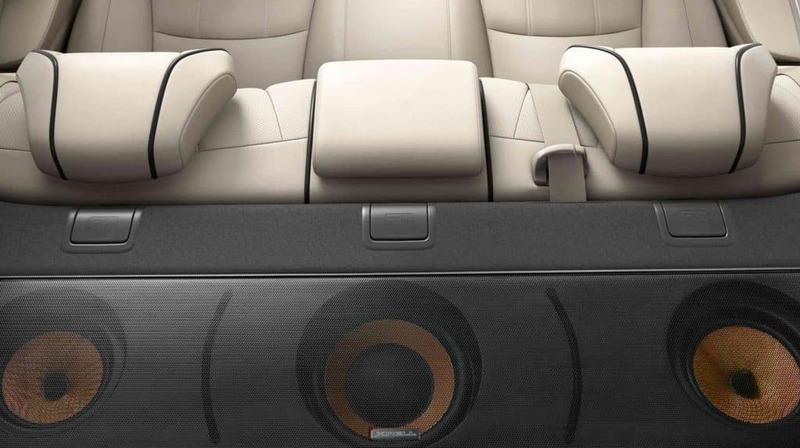 14-Speaker Audio Systems: Drivers who choose the RLX’s Technology Package will receive an Acura/ELS Studio Audio System that features DTS Neural Surround sound and a built-in Note function that stores and remembers your favorite songs. The alternative Krell Audio System offers similar functionality and the same number of speakers, but with one twist: it’s made with Zylon, one of the world’s strongest super fibers. These home-grade speakers produce unparalleled high-fidelity sound. Speed-Sensitive Volume Compensation: This subtle technology automatically decreases the volume of your music when you slow down, so you can focus on parking, navigating, or catching up with neighbors. A luxury sedan should feel like a home away from home, and the 2018 Acura RLX does not disappoint. Acura’s designers have equipped both RLX trim levels with exciting features that make it easy to interface with the world outside your cabin. 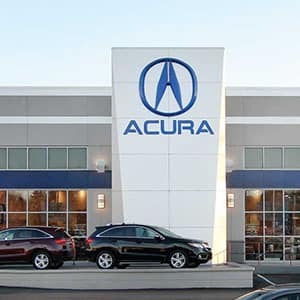 Acura Navigation System: The Acura Navigation System offers 3D viewing, Acura Real-Time Traffic updates, traffic rerouting, and predictive local search. Of course, it also makes it easy to access turn-by-turn directions! You can use voice controls to do so, and even set instructions to appear directly on the windshield. 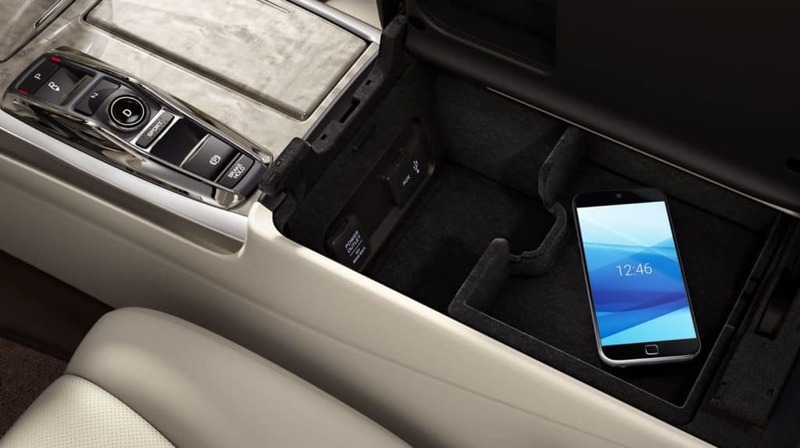 RLX Smartphone Interface: Every RLX includes a Smartphone interface to sync the machine you take everywhere with the machine that gets you where you need to be! Bluetooth HandsFreeLink, phonebook exchange, SMS, MMS, and email reading all come standard. 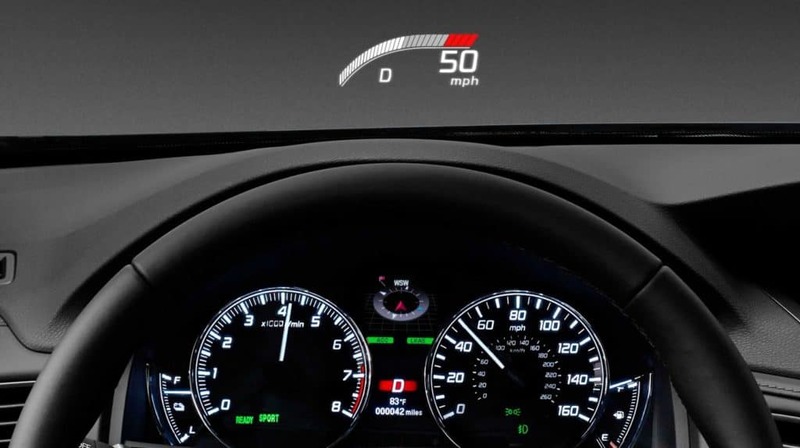 Head-Up Display: Now you can display important information and alerts right on the RLX’s windshield; what’s more, you can do so in a way that reduces distractions! The display integrates with your navigation system and AcuraWatch features so you can even view a digital speedometer, a power distribution monitor, a tachometer band graphic, and a compass. Top-tier technology touches every inch of the 2018 Acura RLX. This luxury sedan offers the very best in next-generation performance and safety features. 3-Motor Hybrid System: The Sport Hybrid drivetrain system has made its way to the Acura RLX’s Advance Package, and it helps this luxury sedan to handle like a high-performance sports car. The Front Motor and Dual Rear Motors interact independently with the RLX’s wheels and help to ensure that this sedan’s power is directed where it’s needed most. Vehicle Stability Assist with Traction control, another standard feature, complements this function. AcuraWatch: In the RLX, the AcuraWatch safety system comes standard! The package includes Road Departure Mitigation, a Lane Keeping Assist System (LKAS), Adaptive Cruise Control with Low Speed Follow, and a Collision Mitigation Braking System that operates with your Head-Up Display. All-Around Visibility: the Acura RLX’s baseline Technology Package includes a Multi-Angle Rearview Camera with Dynamic Guidelines, a Blind Spot Information System, and Auto-On/Off Headlights. With the Advance Package, the Multi-Angle Rearview Camera is replaced with a Surround View Camera System. Take the 2018 Acura RLX for a Test Drive! Don’t miss your chance to test the 2018 Acura RLX’s technology, entertainment, and convenience features for yourself! This luxury sedan is available now at Acura dealerships in and around Kansas City. Start a conversation with one of our experts to explore our current offers and find out how to get behind the wheel today.